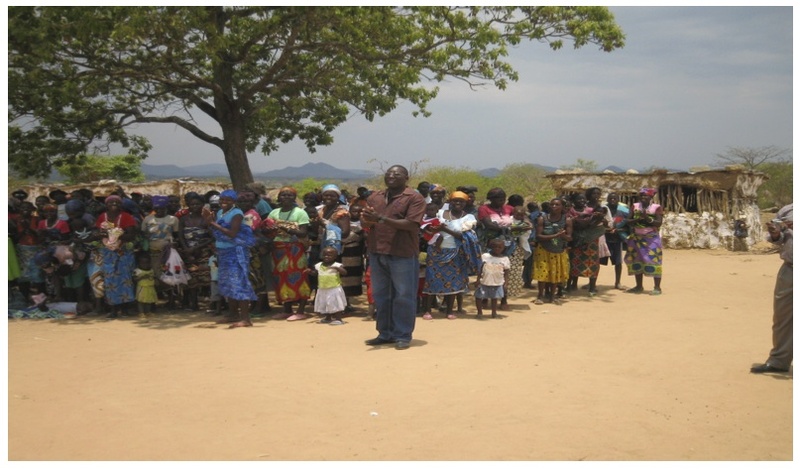 FEMERAID ITINERANT - ANGOLA is a program destined to provide to the population living in remote areas of Angola Basic Medical Care and Assistance. Recently a delegation of the our Embassy in Angola and of our medical team Femeraid-Angola, composed by Dr. Sir Nuno Cosmelli , Prof. Sir Lemuel Cordeiro, Dr Fernando Bastos, Nurse Eliana Silva and Dra Cláudia Ferreira traveled to Benguela Province, invited by H. E. the Governor to participate in an event organized by PARCIF and to ultimate the preparation of our program of Itinerant Health Care in this Province. Dr Fernando Bastos gave a presentation on Neonatology at Jean Piaget University in Benguela and in the next day the delegation departed to one of the districts of the Province by car, where it was received by the local authorities. After a visit to the local Hospital, still in ruins due to the last war, our Medical Team mingled with population in order to understand its most urgent medical needs. On the second district visited the local population received our delegation very enthusiastically with a group of women and children singing and dancing. After the visits our Delegation had a meeting at the Governor's Palace with His Excellency the Governor and other high officials of the Provincial Government. During this meeting several important matters were discussed namely the Itinerant Health Care Program, ready to start in the Province.